Petit Design Co: Help Please! I need some help in identifying some fabric. 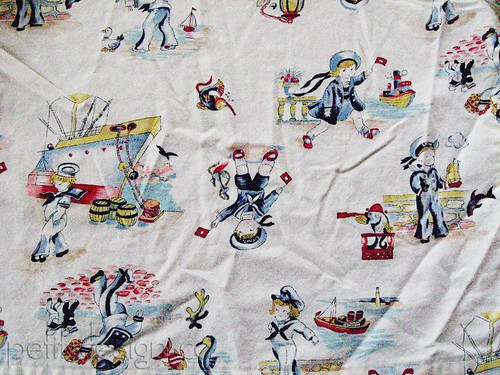 I bought this fabric a 2-3 years ago and made each of my kids an article of clothing out of it. Ellie Mae got a little sun dress and EJ got a dress shirt. I would love to make #3 a quilt out of this fabric but would like to save the outfits and not cut into them if possible. So if you know anything about this fabric (name, manufacturer, where I can buy some, how I can bribe you to part with it if you have some in your stash) please let me know! Have you tried www.findmyfabric.com ? Hope this helps!